Rubber parts done with skill, precision, and quality is what Rubber Industries Incorporated, (RII), do best. This is a company who has been in the rubber manufacturing business for almost 50 years. No one else does rubber like RII and we have all the right equipment to produce your custom products. We employ our own chemists, engineers, and quality control specialists as part of ISO 9001:2015. When it comes to designing your product you need to contact one of RII’s design consultants. They can assist you in developing your ideas and making them into reality. If you just have an idea and you want to bring it into existence then don’t worry because they have design specialist who can assist you with your product. They use the most modern software on the market and have computer aided drafting programs to create new products of your choice. With any process RII employees are highly trained in which procedure will best fit your product. We can specially mix the rubber to a desired consistency and tests of your product can be done to check that your product performs as needed. If adjustments need to be made then they are until customer satisfaction is met. Also custom color mixing is part of their standard operation. 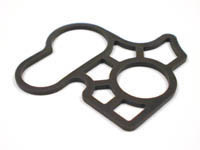 Rubber is RII’s business and they have made rubber gaskets, rubber diaphragms, rubber tools and even rubber bumpers. You name it; they have made it out of rubber. Rubber fabrication is their specialty and rubber performance is their goal. 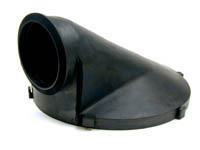 They make rubber parts that will last and perform and look like what the customers want. When people do business with RII they are happy and their customers are happy. RII is an environmentally friendly company, who strives to use as many green products in their manufacturing process as possible. They are a rubber manufacturer but that doesn’t mean that they are not concerned about the environment. With more than 40 years of rubber manufacturing under their belt RII is one of the best in the business. Don’t sell yourself short when you can have the best so do business with RII. Nothing is more flexible than RII and the rubber products they make. 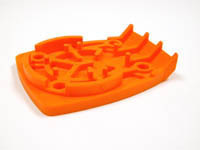 We make custom molded rubber, silicone molding, LSR molding and custom tooling. We handle the entire process, from prototype to production. Choose us for your custom molded or EDPM rubber and silicone items. •We make tens of millions of customized items every year. 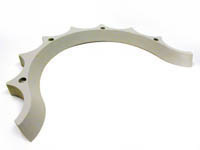 •Our CNC shop produces hundreds of new tools annually. •Our items are made and developed in the USA. •Single ownership for more than 50 years. •We have the industry's fastest prototyping and production services. We offer the fastest prototyping and production services in the industry. We have created production tooling and shipped more than 10,000 custom silicone parts to a client in one week. From designing and programming the machinery to cutting the steel into a 19-inch by 23-inch customized multi-cavity tool, the job was finished in just seven days. •We maintain the fastest prototyping and production services. •We've invested millions of dollars in our American manufacturing plant. •Consistent ownership means consistent quality, service and prices. •We operate 24 x 7 x 365. •EDPM to metal bonded, EDPM to stainless bonded, and silicone overmolded products. •USA based ITAR & ISO 9001:2015 registered. •Medical products, which is our larges service segment. •Asian partner for custom moldings, silicone and LSR. •Consumer, healthcare, automotive and industrial solutions. 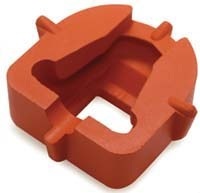 •Commercial enterprises in need of rubberized or silicone forms. •Offering multiple large injection presses (up to 15 pound shot), transfer presses, compression presses, silicone molding presses and multiple precise LSR presses​​. •Manufacturing all items in the USA or in Asia for supplying our Asian partners. •Providing ethical price quotes for all job sizes and types. Get a price quote​ today! •Same ownership for 50 years, and now in our 3rd generation of family ownership. •Centralized location in Minneapolis, with a 5-acre campus for tooling and manufacturing. Aluminum tooling is a waste of your money because it is the same price as our steel tooling, but only steel tooling can hold your needed precise tolerances over thousands of cycles. Aluminum does not last as long. WE make the tooling with our CNCs on-site in our facility. •Complete production cycling in as little as one week, with two to five weeks as a typical timeline. •Sizes of up to 26 inches by 40 inches for production tooling. •Ensuring that your timeline is met. •Providing you with customized tools made with quality steel. •Allowing for larger tools and custom-molded silicone. Contact us today to learn more about our materials bonding services and to get started working with our in-house chemists and tooling engineers. No matter what industry segment you are in, we are here to create the customized solutions that you need. Contact us today for a price quote. Contact us at your earliest convenience to start planning your project with us. •Up-front pricing, which includes the engineering fees and setup charges. •50 years of experience with creating customized formulations and materials that last. •Rapid turnaround and no down time. •High level of consistency across every area of our work. Contact us for a price quote today!